Win a family pass to a top UK safari park to celebrate the release of Robinson Crusoe! To celebrate the release of the family adventure Robinson Crusoe, in eye popping 3D from 6th May and previews from April 30th to May 2nd, we’ve got a family pass to a top UK safari park to be won! 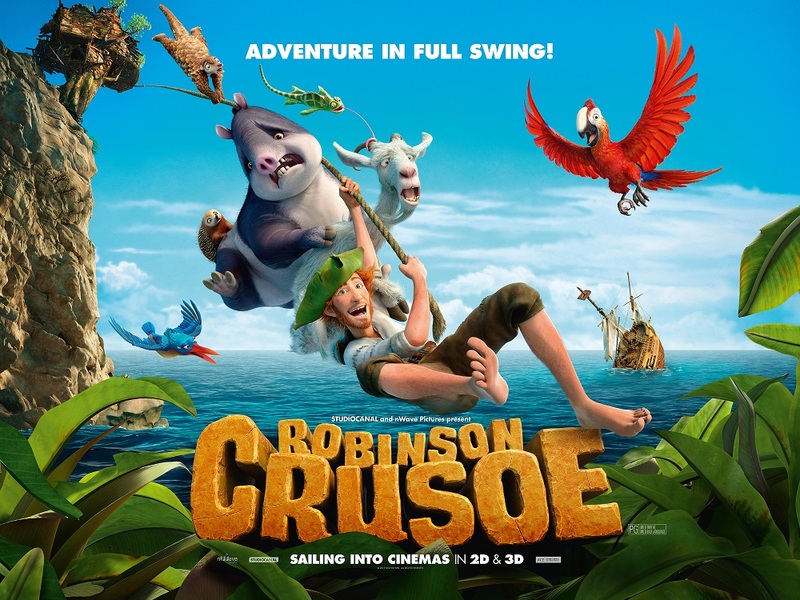 The fun-filled family movie follows the story of Robinson Crusoe and Tuesday the parrot, plus a bunch of their adorable animal buddies, in a battle for their island that helps them discover the true power of friendship. The movie previews in cinemas this weekend, but the excitement started at our Easter camps when a host of pirates, parrots, and castaways turned out for our special Robinson Crusoe themed day. We had such a fantastic day, with each camp having Robinson Crusoe themed activities and worksheets, and holding a fancy dress competition to win a fantastic Robinson Crusoe prize pack including DVD’s, colouring books and sticker books. 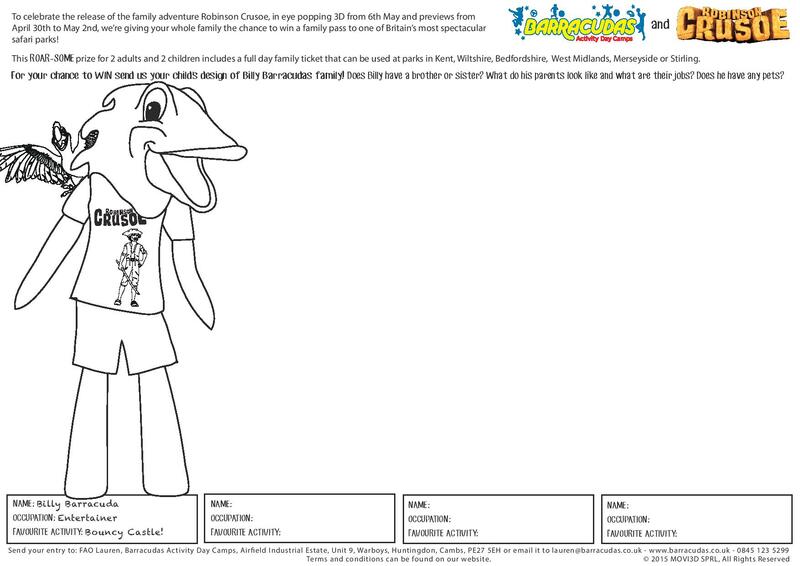 With that we’ve decided to extend the fun to your whole family by giving you the chance to win a family pass to one of Britain’s most spectacular safari parks! This roar-some prize for 2 adults and 2 children includes a full day family ticket that can be used at safari parks in Kent, Wiltshire, Bedfordshire, West Midlands, Merseyside or Stirling*.